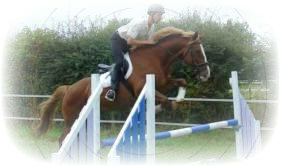 We are a friendly livery yard that offers first class service at a sensible price. Situated in hull, we are within the easy reach of Hull, Beverley, Hornsea, Driffield and all the surrounding villages. The beaches of the east coast are also nearby. Our 13 acre site offers excellent facilities, which includes a rubber indoor arena 70ft x 120ft and an out door sand arena 70ft x 80ft. We offer full and part livery and diy, which is interchangeable daily to suit the needs of the horse and owner. Short term holiday livery is also available, so you can leave your horse with us and enjoy peace of mind whilst you are away. We operate 24 hour CCTV, ensuring that your horse and tack is under constant supervision with some one on site 24/7. We are a friendly, professional family run yard where all disciplines and levels of horse and rider are welcome. For further information on each of the livery packages and our additional services, please explore our site.